NASCAR Kobalt Tools 400 at Las Vegas Motor Speedway. 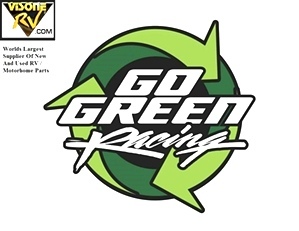 Visone RV Parts Sponsors Go Green Racing # 32 Car Driven By Mike Bliss. Date And Time - Sunday, Mar. 08 / 03:30 PM ET. 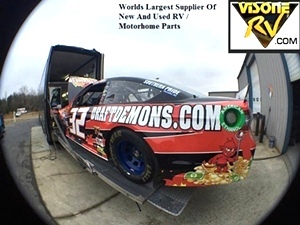 Bliss returns to the #32 at Vegas: Draft Demons will be the Main sponsor along with Visone RV - Associate sponsor of the #32 Go FAS Racing Ford of Mike Bliss in Sunday's Kobalt 400 at Las Vegas Motor Speedway. Bliss will be making his third career NSCS start at the 1.5 mile track with a best finish of 16th, which came back in 2005. The 2001 NCWTS Champion will once again be pulling double duty, running for Tri-Star Motorsports in Saturday's Xfinity race. Mike Bliss on Las Vegas: "I feel really confident heading out west and going to Las Vegas with the way our team is moving forward. Vegas is a fast, rough, and bumpy track, which creates its own challenges, and that's one of the things that makes it such a unique and fun track. VISONE RV PARTS - PARTNERS WITH GGR RACING # 32 .